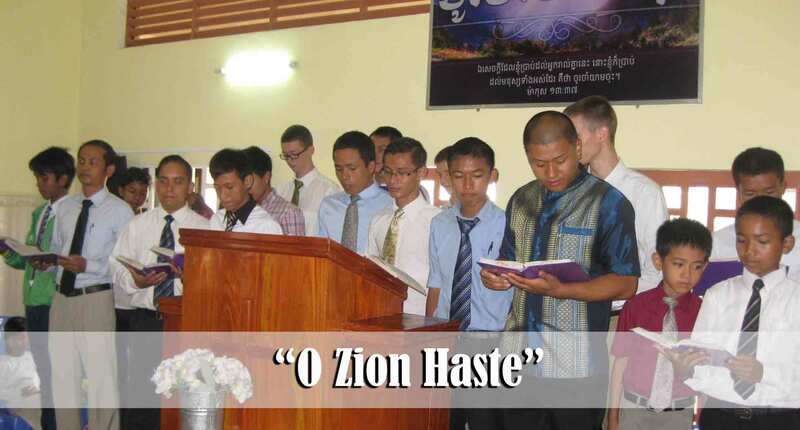 We had great services today here in Cambodia. 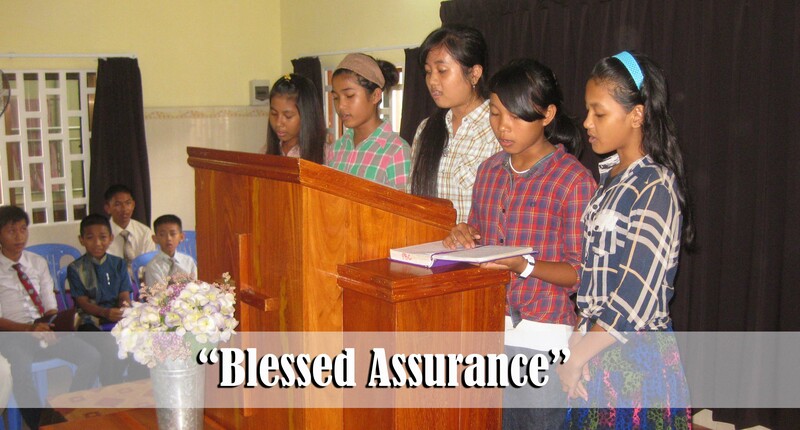 Five of the teen girls sang “Blessed Assurance” during the morning service. 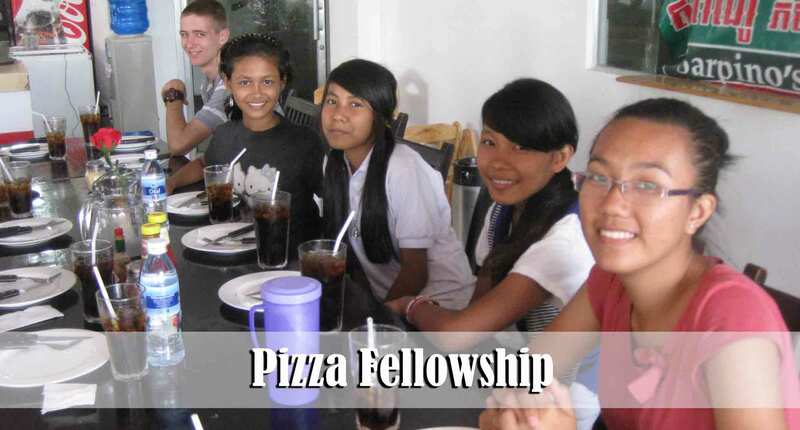 Please continue to pray for the young people in our ministries. It is always frustrating to have a teen young person who is a growing believer all of a sudden be forced to stop coming to church by their parents. Today we had one of our very faithful teen boys come and tell us that he has to miss church for the next two months as his parents are forcing him to work in their store. Another teen young man told me today that he is actually attending church without his parents knowledge because if they knew he was a Christian and attending church they would force him to stop coming. 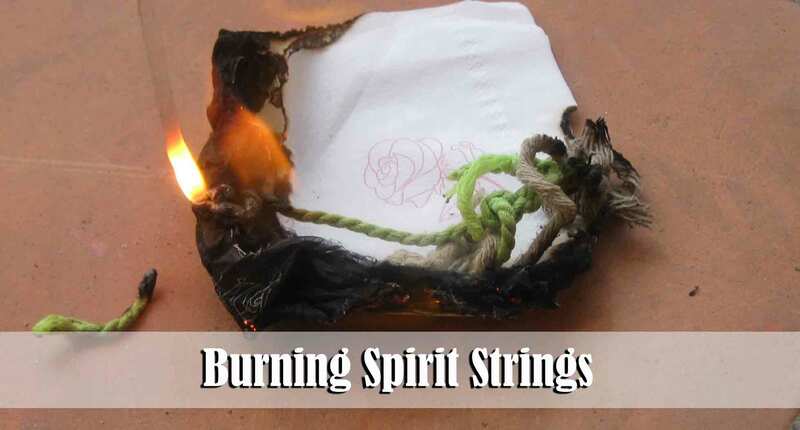 He met with me this morning to seek counsel about what to do when his mother tries to force him, as she did this morning, to offer incense to the deceased relatives. This month the workers will be starting two special clubs for teen young people to help them in their walk with the Lord. Please pray that these clubs will help to ground the young people in their new faith and that their parents will not prevent them from being involved. Last Sunday I completed our 14 week sermon series dealing with the transformed life. This morning we began a new 8 week sermon series preaching through the book of 2 Peter. I believe that this series will be very helpful to the people as we deal with the important issues addressed in this epistle. 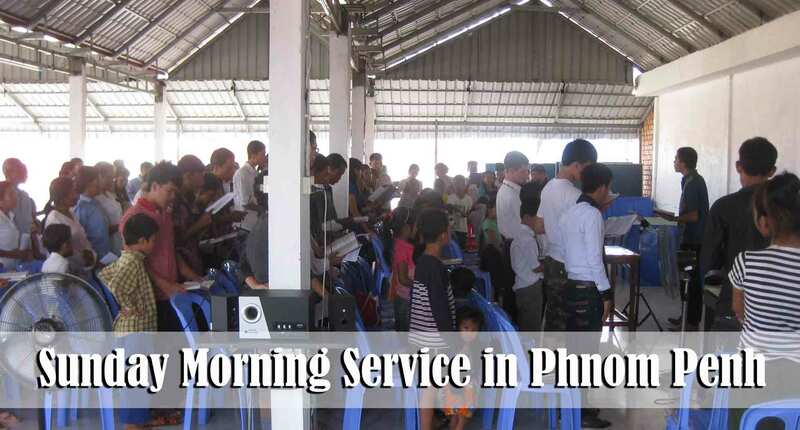 The church family in Phnom Penh, as well as the village churches, continues to memorize the entire book of 2 Peter. It is encouraging to see so many getting involved. We are, on purpose, trying to create a culture in the church that values the Word of God. Some people in America may be under the misconception that the poor are automatically open to the message of the gospel. Very often the opposite is true. 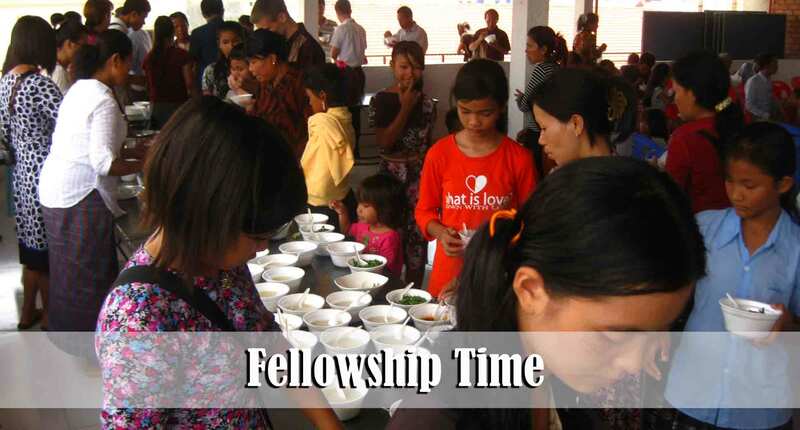 They are often ready to receive a “social” gospel that will hand out money, food and medicine. But the true message of the gospel that shows mankind his sinful and helpless condition without Christ has never been popular with the masses. In recent days we have seen the poor outright reject the message of salvation. 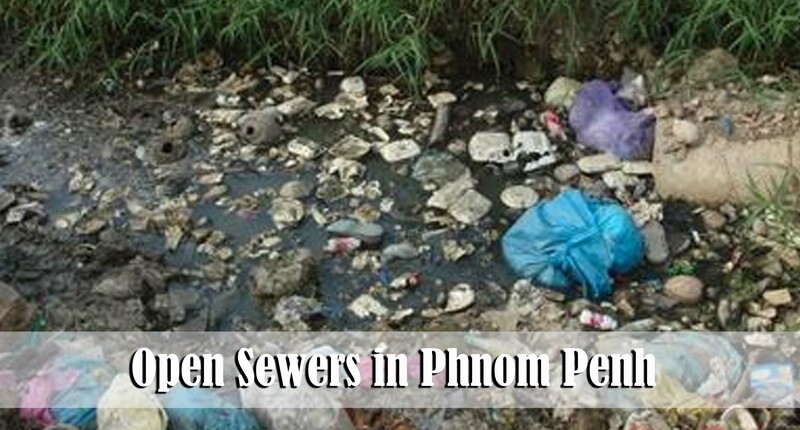 This past Saturday some of our soul-winners went to follow-up on prospects living along the open sewers just a few blocks from our Phnom Penh church. It was very sad to have some refuse to accept a gospel tract. One man, who we have been witnessing to for several months, actually laughed at one of our men who was trying to encourage him to accept Christ. Another poor man, who is dying of cancer, mocked Brother Sinath for walking around with the foreigners and witnessing about the “foreigner” religion. He said that if Sinath was going to do that he should at least be getting a salary for wasting his time. It was encouraging to see Sinath and others keep a good attitude and a soft heart toward those who mocked them. 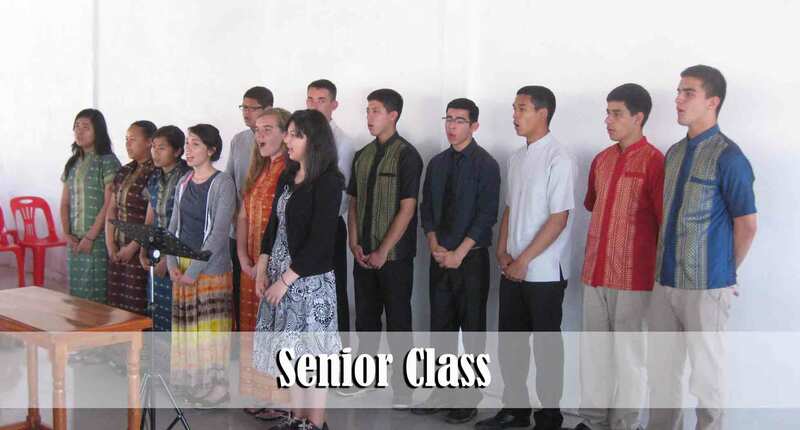 It has also been encouraging to see the spiritual growth of so many of the adults. Some of them are having their faith tested as never before. In recent days several of the folks have come face-to-face with circumstances that have been somewhat troubling to them such as being openly mocked for being a true Christian. 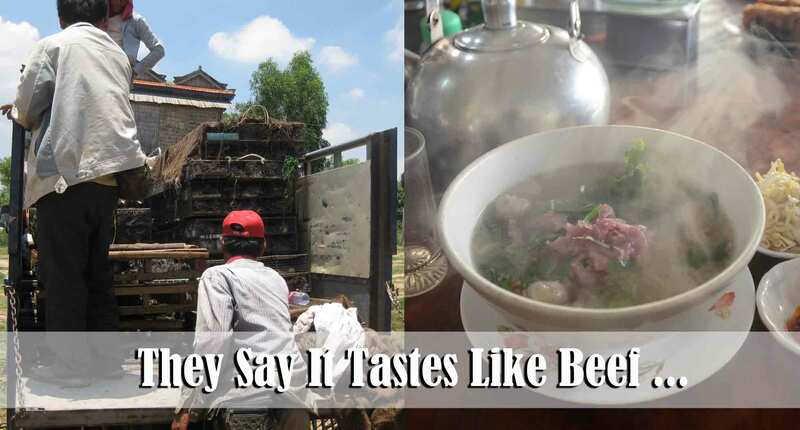 One young couple is being accused by their family of “killing their grandmother” because they refuse to offer sacrifices in order to appease the evil spirits who their lost loved ones believe are causing grandma to be gravely ill. Some of our other believers who have undergone major persecution for their faith were deeply troubled in recent days to witness other Christians who, knowingly or ignorantly, compromised their testimony under the guise of trying to be culturally appropriate. 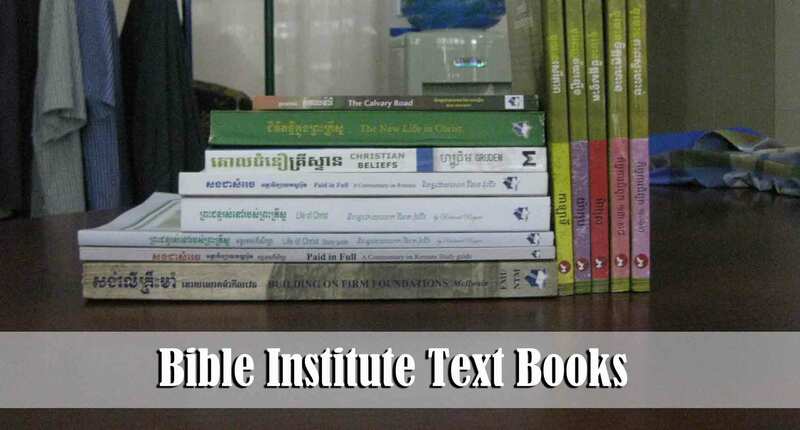 One circumstance in particular has, according to the nationals, caused them to value even more a church where they are taught to follow the Word of God even when it is not culturally accepted by the Buddhists living all around them. 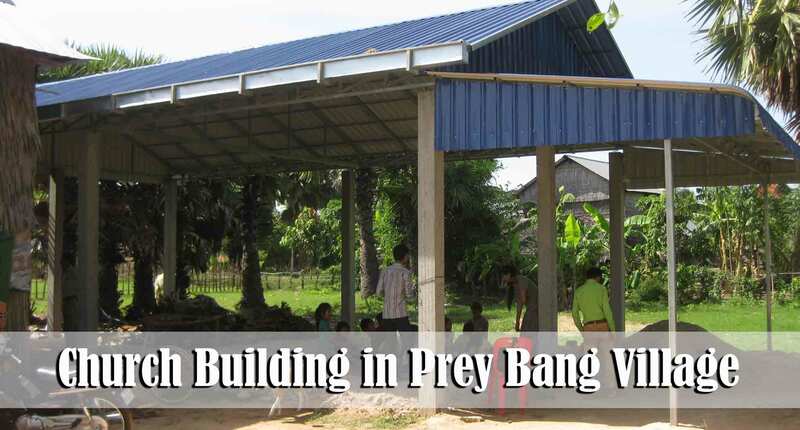 The work in Prey Bang village continues to go forward. The roof was finally installed a couple of weeks ago. Lord willing, we will being holding services the first Sunday in August. For the time being we will do so without any walls. In time, we intend to build walls as the work grows and the nationals are able to raise the money. There are around 20 adults in this village who have now professed faith in Christ. 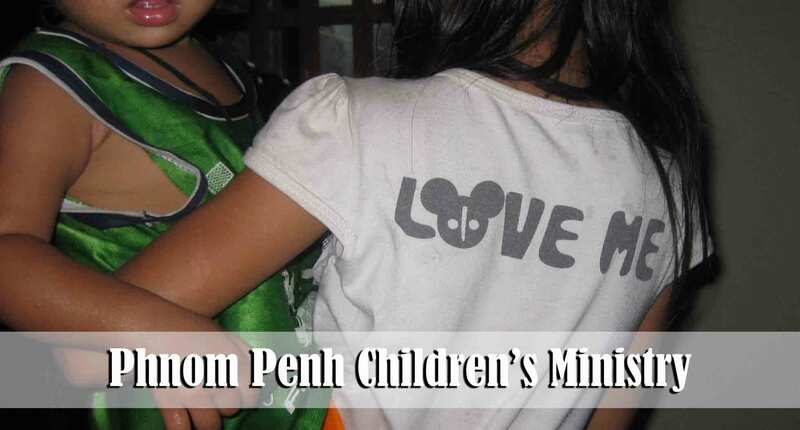 Additionally, we have around 20 children who are attending a weekly Children’s outreach. We are happy to report that this past week another lady, Soun (over 70 years old), accepted Christ as her personal Saviour. 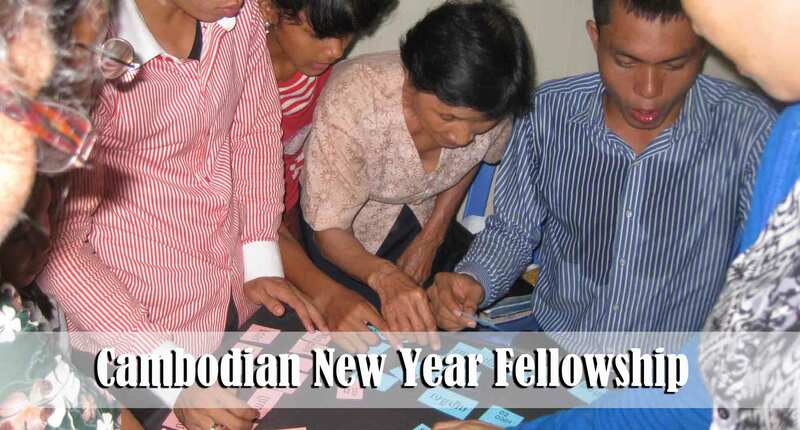 Please pray that we will continue to see more families reached through this new work. It will require a lot of time and effort by many to see this new work get off the ground and we certainly covet your prayers. 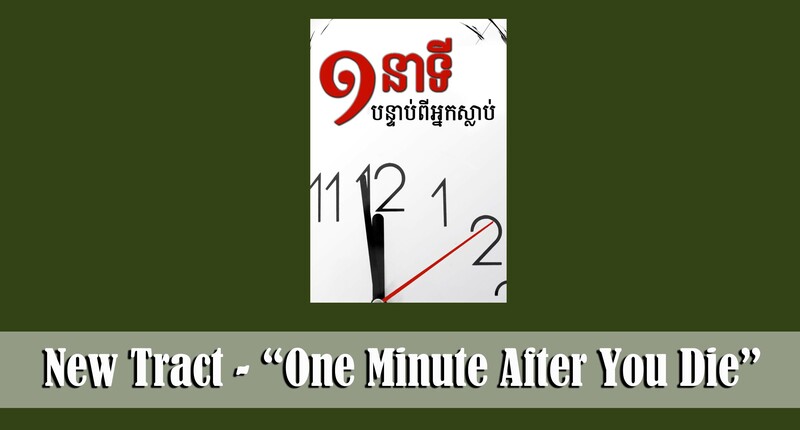 This week we are printing 5,000 copies of our new tract entitled “One Minute After You Die.” This tract is based on the story of the rich man and Lazarus in Luke 16. Pray with us that God will use it to bring about conviction to many. Thank you for giving so that we can continue to print quality materials such as this and see people saved. The election campaigning is in full swing this month as the country will hold national elections on Sunday, July 28th. Sights like this are a daily occurrence throughout the entire country. They begin early in the morning and continue until the evening. 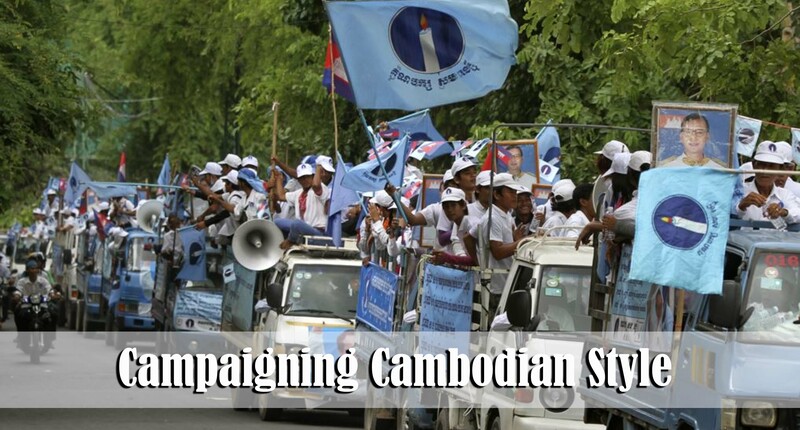 Last week we had campaign trucks and bull-horns campaigning down our street at around 9:30 p.m.
Civil unrest is always a concern during elections whenever you are in a country such as Cambodia. 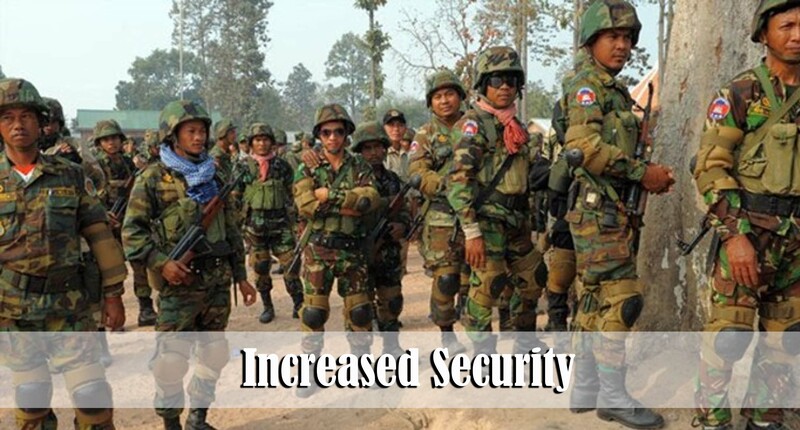 One local newspaper reported that the government has dispatched an additional 20,000 security forces to ensure that there are no uprisings. There is so much that could be said about the whole election situation but I shall leave my opinions to myself. Please pray that the elections will come and go without any difficulties. 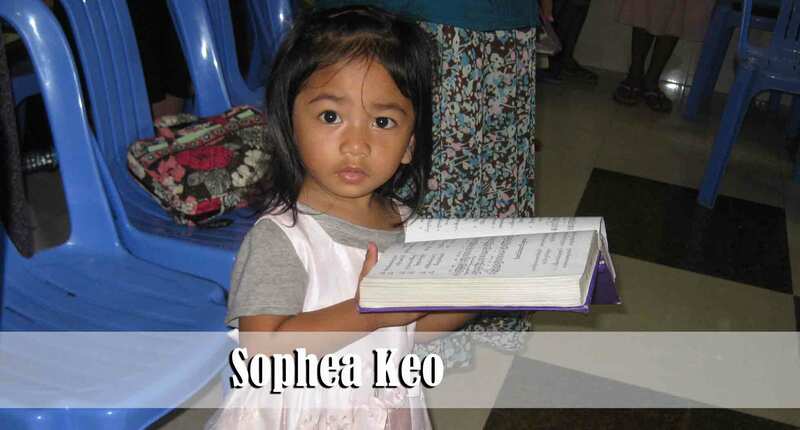 Sopheak, 18 years old, attended our church faithfully for quite some time last year until her grandmother prohibited her return. She did not like the “changes” that were taking place in Sopeak’s life because of the things she was being taught at the church. After being gone for nearly 6 months, she showed up again this past Sunday. It seems as though her grandmother has agreed to allow her to return. However, she is only allowed to attend on Sunday morning. We are happy to report that, while meeting with one of the national workers, she obtained the assurance of her salvation this past week. 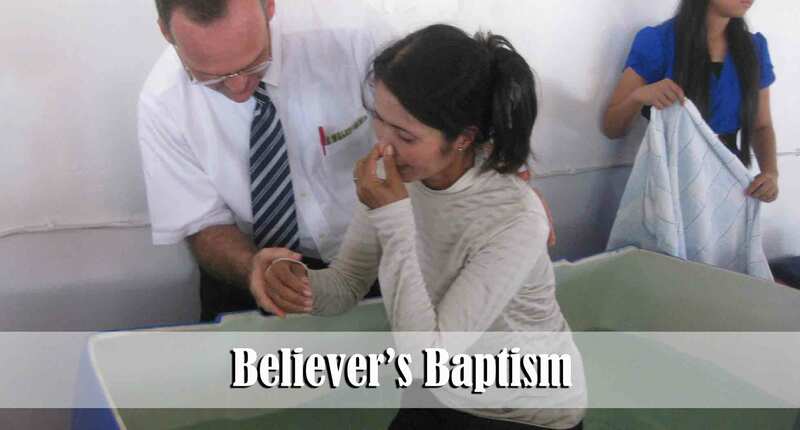 Lord willing she will follow the Lord in believers baptism on Sunday, June 9th. Please pray for her spiritual growth as well as the salvation of her grandmother. 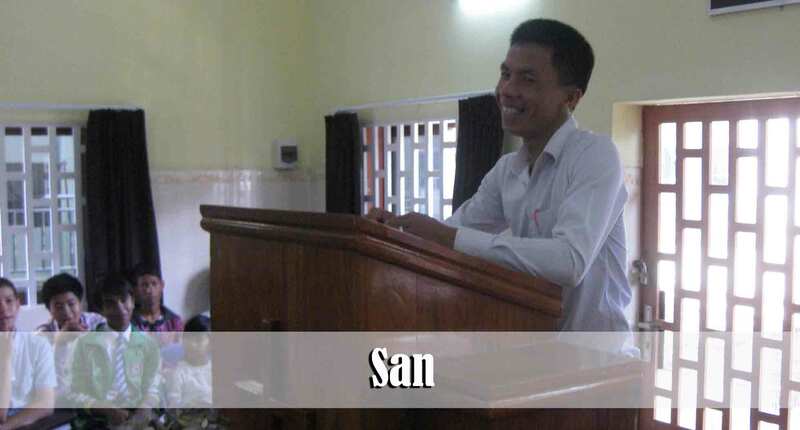 Sok San is a close relative of Somaly Ros, the youth pastor’s wife at our sending church in California. 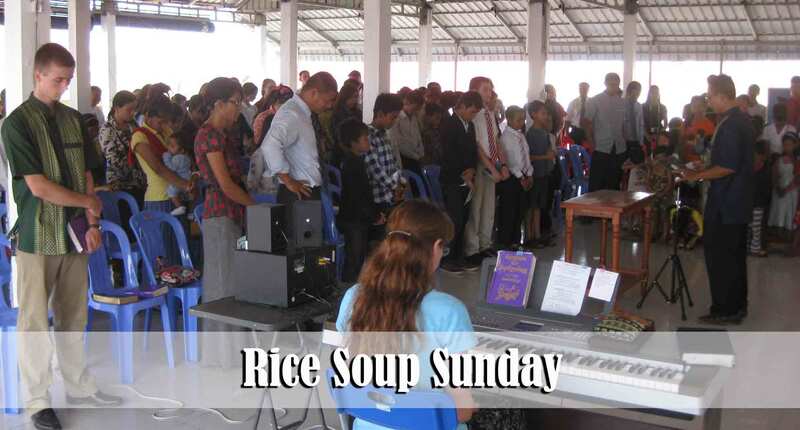 When Mrs. Ros visited Cambodia several months ago she invited Sok San to attend the church. 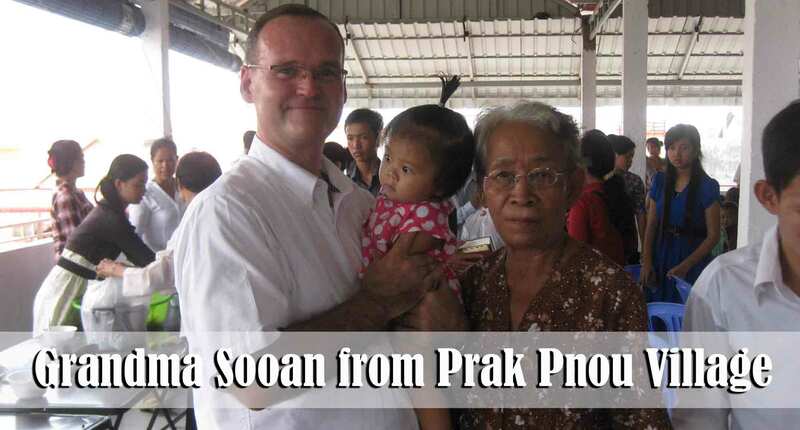 Due to the godly testimony of the Ros family Sok San has seen her need of salvation and has accepted Christ as her personal Saviour. She is making an effort to not just attend the services but to get involved as well. It was a blessing to see her stay after the morning service to help work in the 11:00 a.m. Children’s Ministry outreach. She was singing right along with the children and appeared to be having a great time. She is a sharp young lady and seems to have a lot of natural abilities. 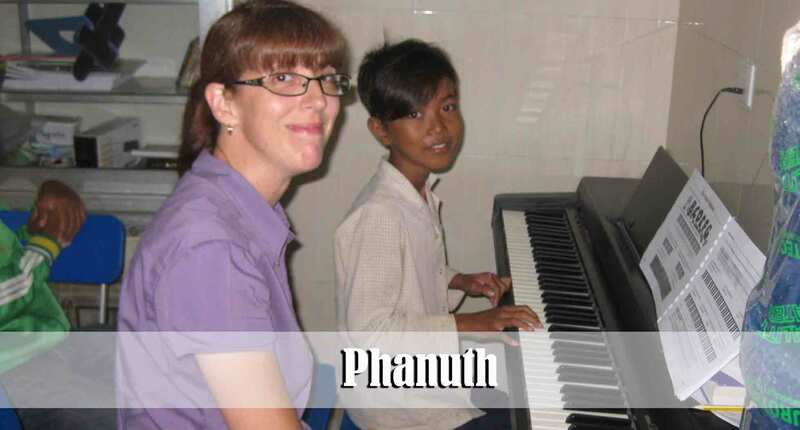 Please pray that she will keep coming to church, stay involved in ministry, and grow in her new faith. 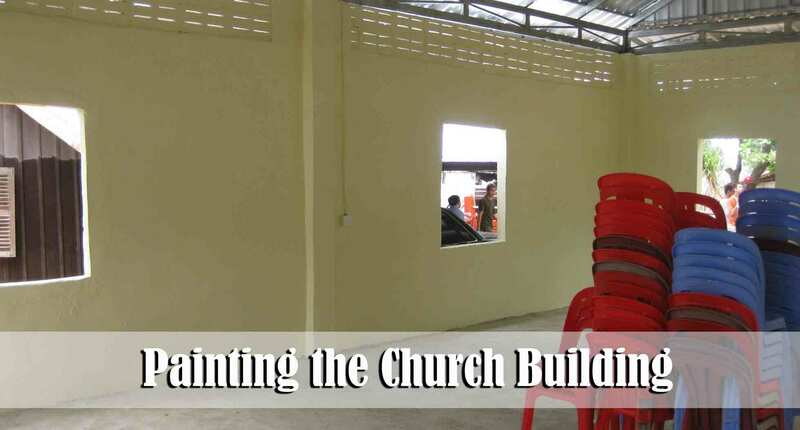 About 20 or so of the men from Phnom Penh traveled to the village church in Anlong Tnout village last week to paint the new church building. We had a wonderful time working together and the building looks much better now that it has a few coats of paint on it. 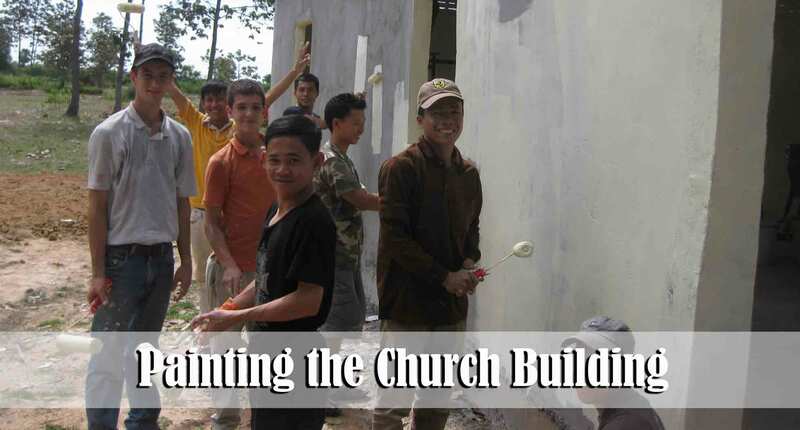 Point of interest: They do not seem to sell primer here in Cambodia so we were painting right on the bare cement walls. It took about 5 coats ! 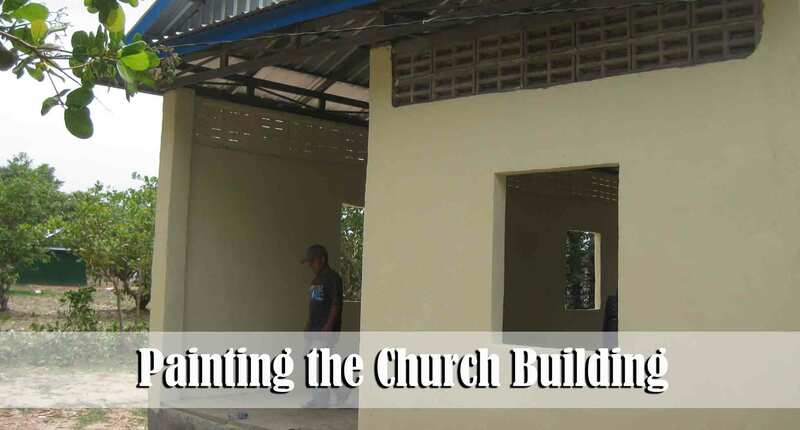 The village congregation will now begin working on raising money to purchase windows and doors for the building. Lord willing the money will be raised within the next few months and the building can be completed. 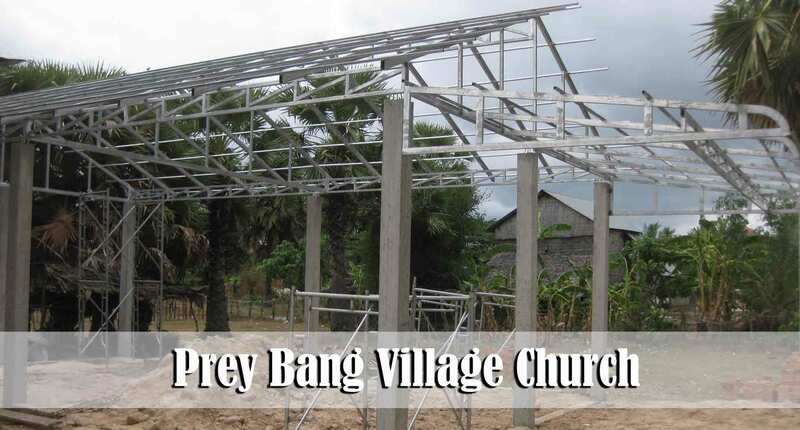 There has been a slight delay in getting the roof for the new church building in Prey Bang village. It seems that the contractor in the village did not have a welding machine in order to weld the metal together that he had promised to have welded almost two weeks ago ! When we finally got a hold of him this week to see what was taking so long, he let us know that he was trying to find the equipment and would have the roof up for us by the end of this week. Here’s my take on the situation – He knows we are Christians and “can’t” get mad at him. So, he is doing other people’s jobs ahead of ours even though we have a signed contract. If he doesn’t fulfill his end of the deal real soon I guess we will have an opportunity to put his theory to the test. 🙂 ...can’t or shouldn’t…? 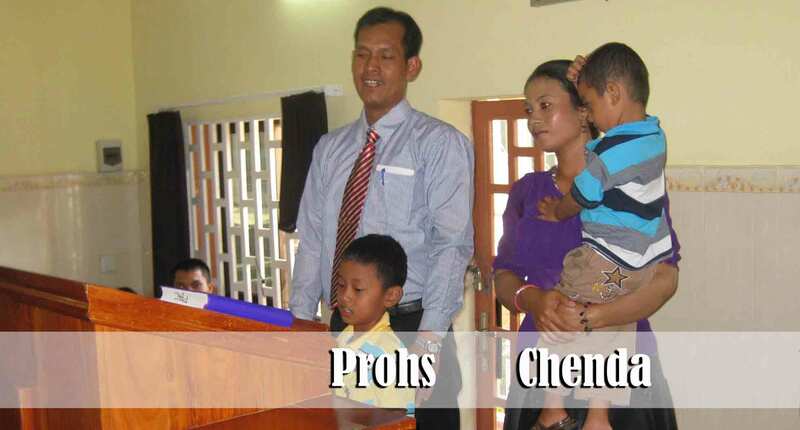 One of the families who has recently begun to attend the village church is Chhay and KimLa. The Lord allowed me to lead Chhay to the Lord some time ago but his wife just recently accepted Christ within the past couple of months. They are expecting their first baby in a few months. Chhay is the son of a very popular Cham witchdoctor and has had some struggles in the past dealing with some issues related to that situation. 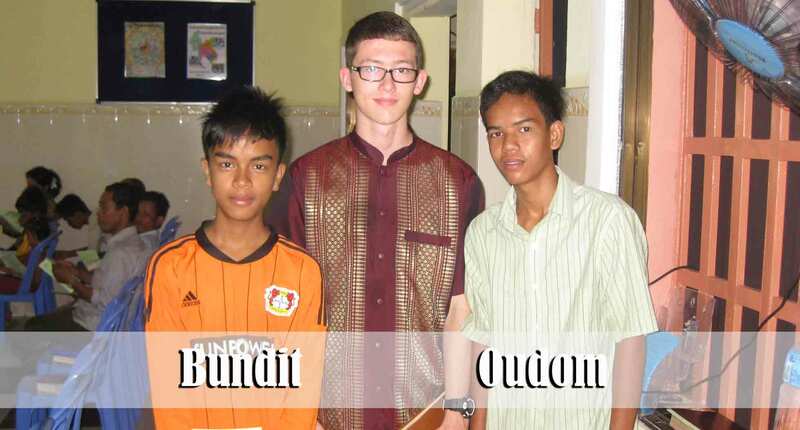 (The Cham people are believed to possess the strongest occultic powers of any people group here in Cambodia. I have been told that his father, before dying this past year, was one of the most famous witchdoctors and had clients all over Cambodia.) 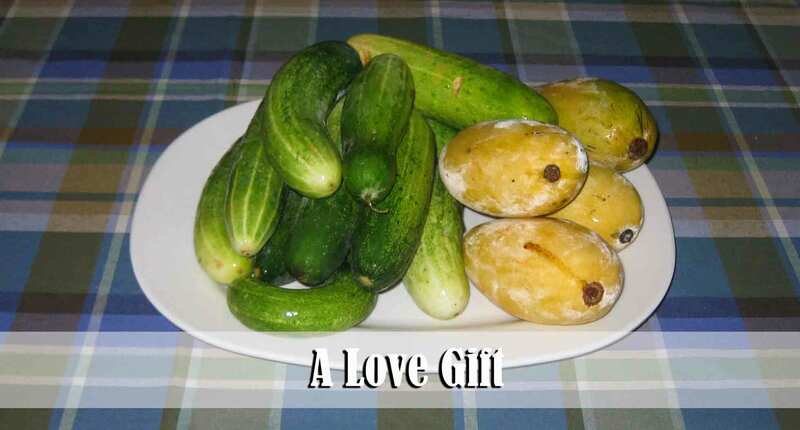 I believe that Chhay and KimLa desire to have a family that honors the Lord. 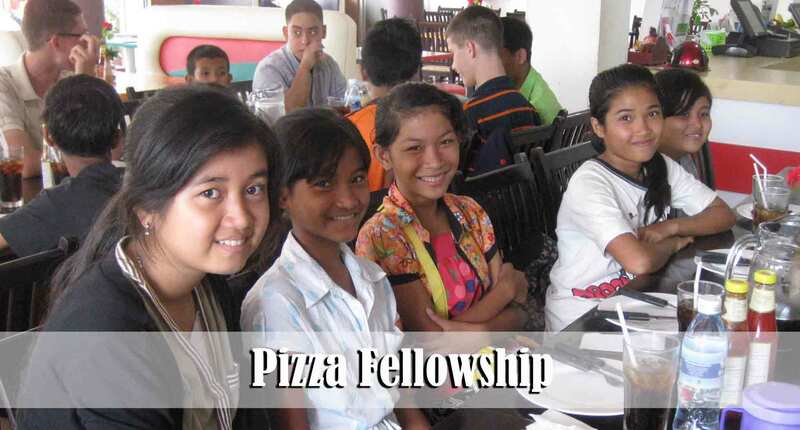 Last week they asked if I would be willing to sit down with them and teach them about how to have a Christian family. As other couples heard that we planned to meet they asked if they could participate in the meeting as well. To make a long story short, we decided that we will have a couple’s seminar sometime in June or July. This will enable us to offer teaching that we can’t provide during church-wide services. 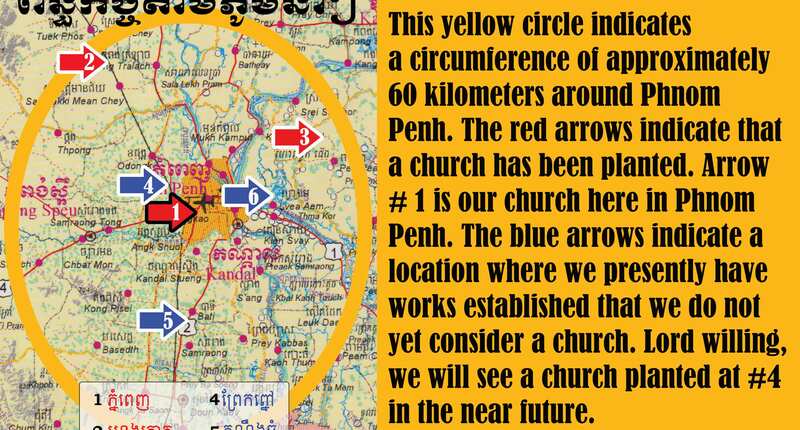 Please pray that Chhay and KimLa will remain consistent in their church attendance and walk with the Lord. They have been at church now for 5 weeks in a row. 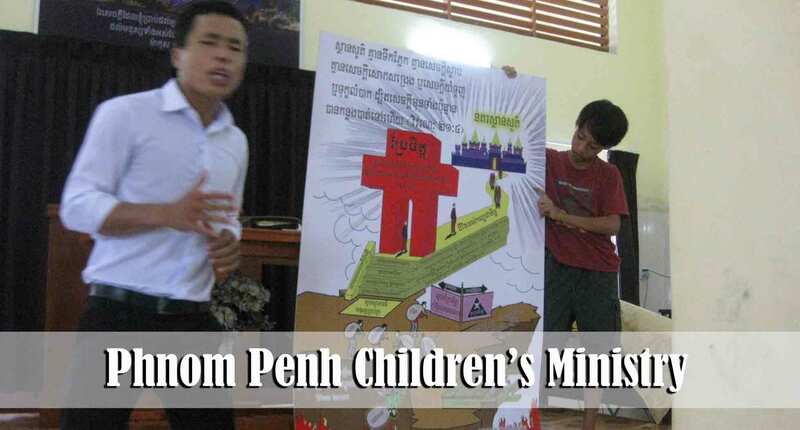 For the past two months we have been trying something different for the Sunday Phnom Penh Children’s Ministry. Rather than having all 150-200 children meet at the church all at once we have been having them come in smaller groups of between 30-50 children. 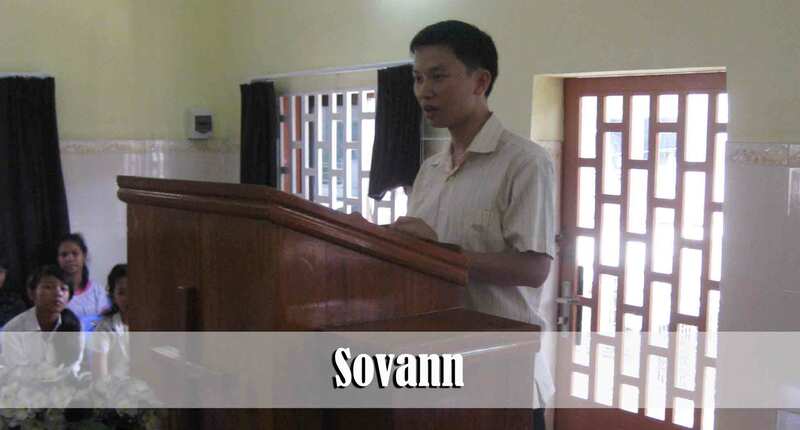 This past week Brother Vannak preached for the children’s service and he did a wonderful job of communicating to the children. He preached on the importance of not depending upon good works in order to have your sins forgiven. He used a poster that we recently created to use when we do evangelistic outreaches. 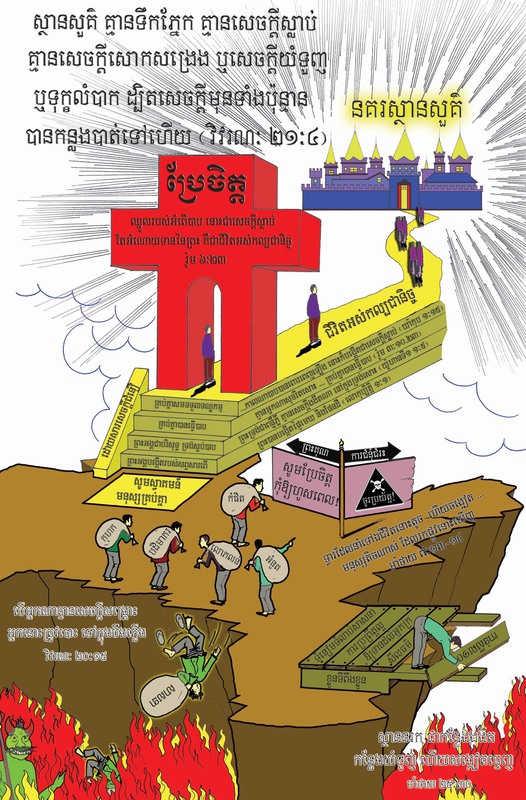 I have included a low resolution copy of the poster for the benefit of those of you who read Khmer. It’s hard to take the first step, when I don’t know the way. Each turn is so uncertain; I learn to walk by faith. 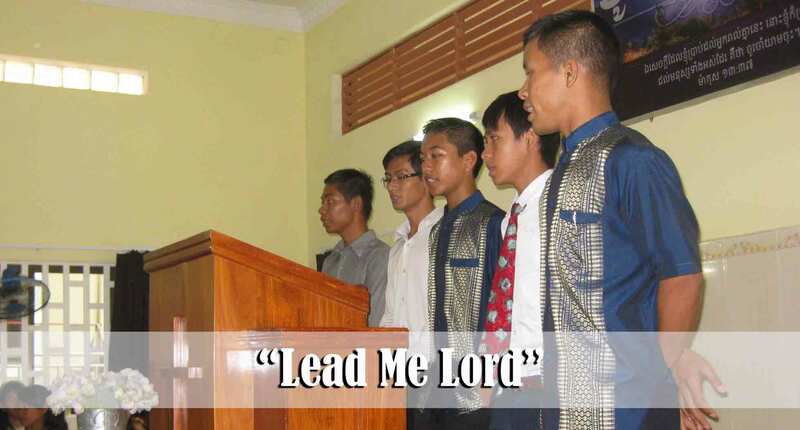 Lead me, Lord, I will go. Take my hand and lead me, I’ll follow all the way. This morning I continued preaching on the theme of A Transformed Life. This morning’s message was the seventh one in the series. This morning we focused on Romans 12:10a. Be kindly affectionate one to another with brotherly love; in honour preferring one another. The words “kindly affectionate” in the Khmer Bible convey the concept of helping to “guard each others heart.” This morning I focused on the importance of using our tongue to build each other up rather than to tear each other down. I believe that this truth spoke to many hearts this morning. 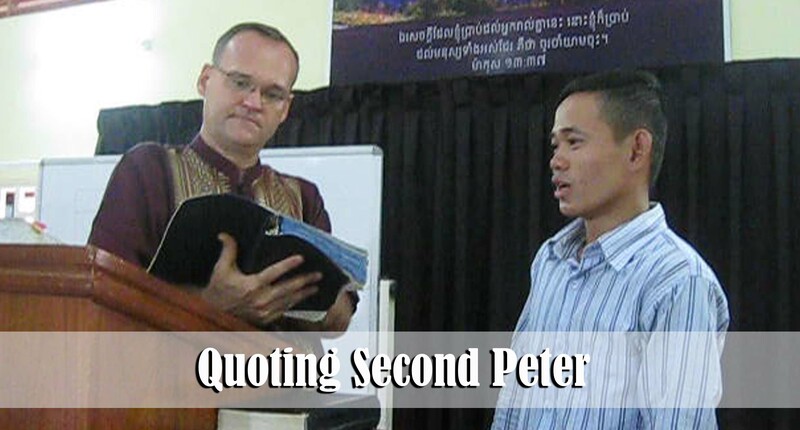 The church continues to memorize the book of 2 Peter together. This coming week we will be quoting 2 Peter 2:13-15. We recently had a combined service and Pot Luck. We try to do this every six weeks. 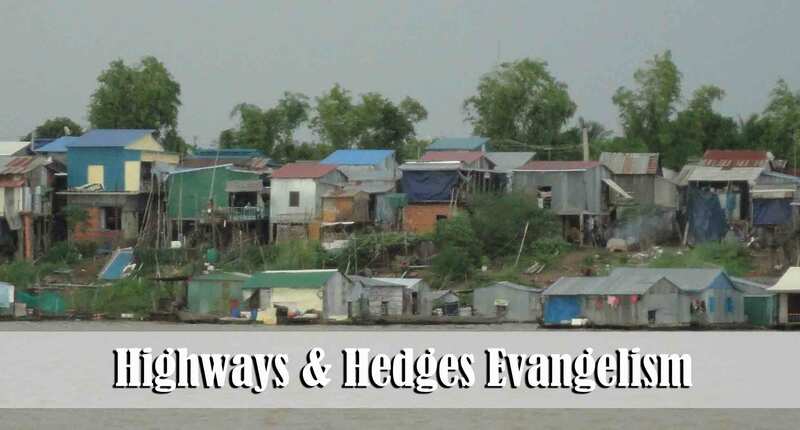 It is a special time for a few of the believers from our various village ministries to have the opportunity to join the services in Phnom Penh. It is important for them to see and feel that they are not the only ones who believe in Jesus. They (from the villages) are encouraged by the large crowd, the singing, the testimonies, and the time of fellowship afterwards. We (from the city) are all encouraged by their boldness for the Lord. It is often much more difficult to live for the Lord in the village than it is in the big city. This month everyone brought their own version of Rice Soup and we enjoyed a special meal after the evening service. 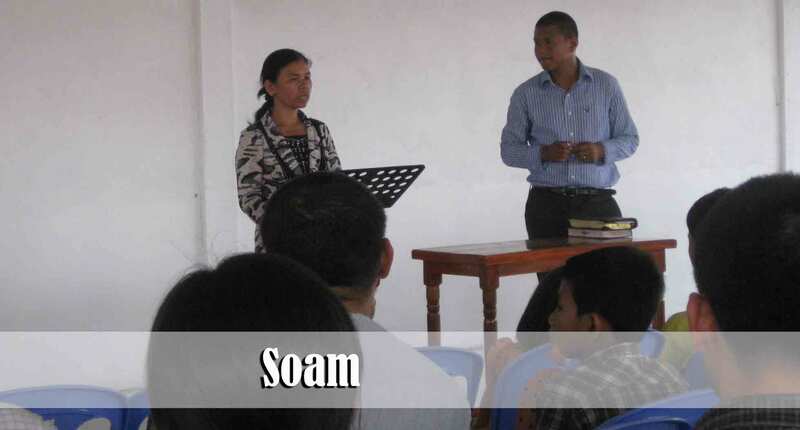 During the evening service sister Soam shared a testimony of her joy in the Lord. You may recall several weeks ago that I wrote about the persecution she was going through in the Cham village. During her testimony she shared several of the events that she believes God used to bring her to Christ. I won’t seek to validate or invalidate her testimony; only God knows the methods He has chosen to draw her to Himself. 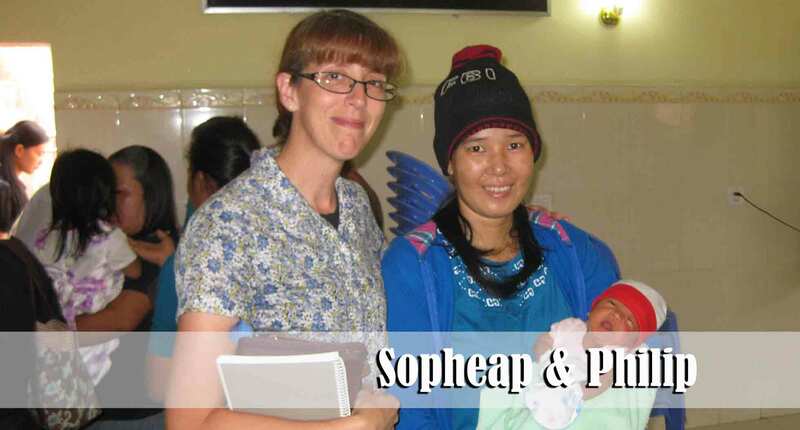 Soam shared that three years prior to her accepting Christ she was very disillusioned with her religion. She knew that what was being taught and practiced at the local Mosque was not truth. Yet, she didn’t know where to find truth. She shared how that one night she had a dream. She believes that an angel appeared to her in the dream and told her the following: “If you want to know the truth, you will find it in Jesus Christ.” The problem was this – she didn’t know who or what was Jesus Christ. She had been born in the Muslim village and lived there her entire life. All she had known was Islam. 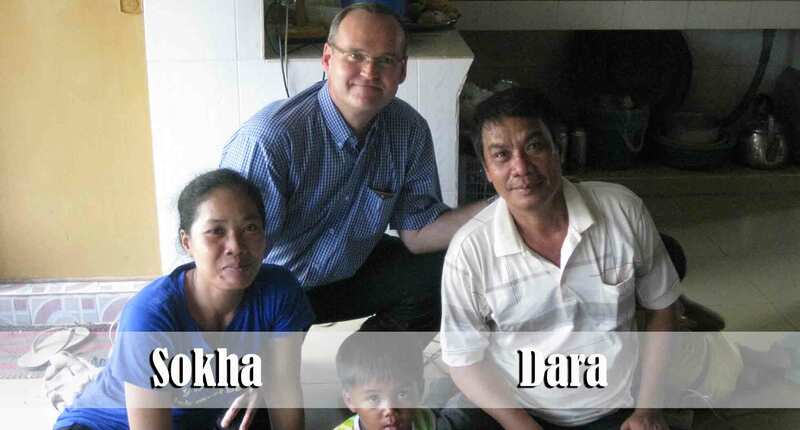 Moving forward in time – About two years ago several of her friends from the village accepted Jesus Christ as their personal Saviour and soon after began witnessing to her. She knew right away that this was what she was looking for. She knew that the hatred in her religion was not from God. She also knew that there was nothing that she could to to take away her sins. She needed God’s forgiveness. She accepted God’s forgiveness and she bears witness that no amount of persecution can take away the joy and peace that she has in the Lord. She said that she dare not back down in her commitment to the Lord because if she does she knows that those who are persecuting her will never get saved. She believes that they need to see her joy and contentment in the Lord. She has asked that we pray for her husband, Hem, to be saved. We were blessed to have some of the senior class from our home church in California visiting with us for their senior trip. 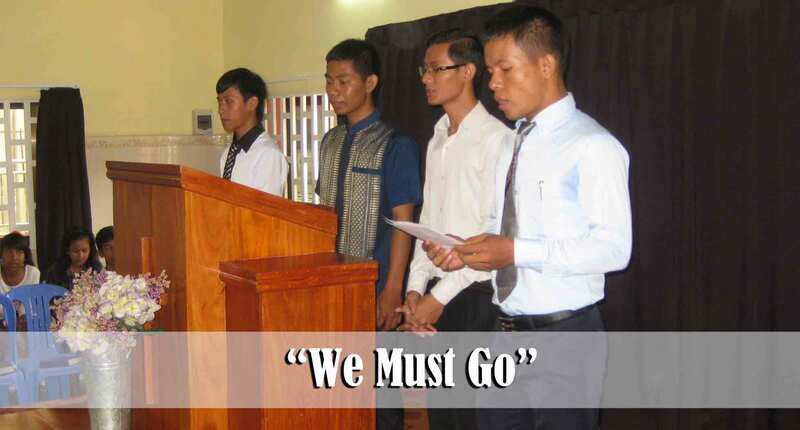 They attended our combined service and sang the song Sometimes We Wait. Our folks were blessed by their song as well as their examples of love and humility. Poverty is a very serious problem in much of the 10/40 window. 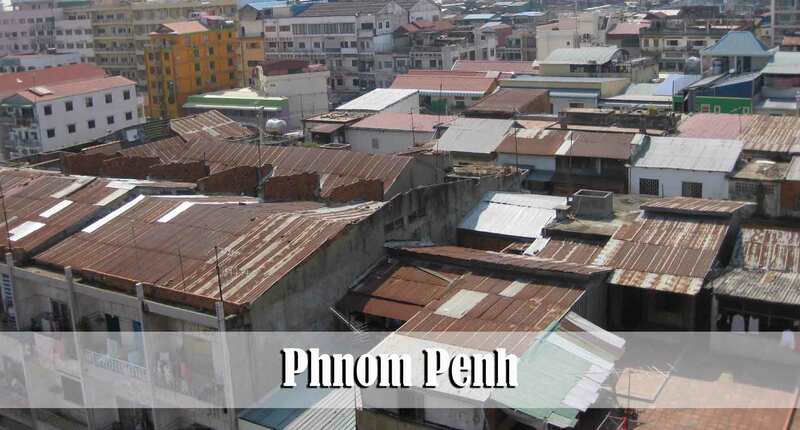 I researched online to try and discover where Cambodia currently ranks in the poverty index. 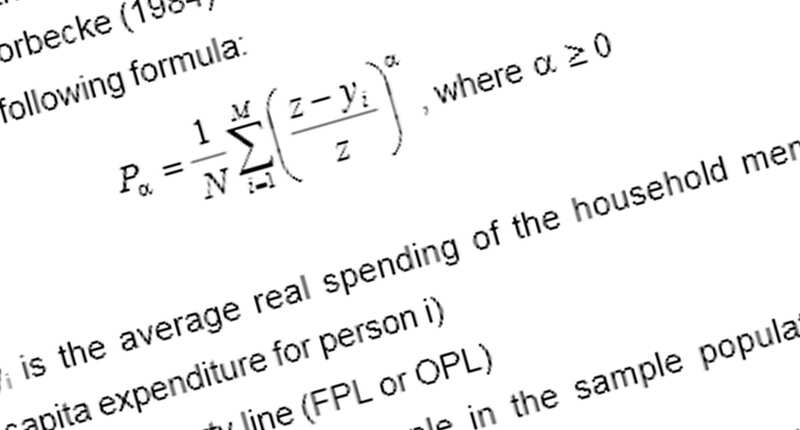 I discovered that economists actually have a formula that they use to determine where each country falls in regard to wealth and poverty. 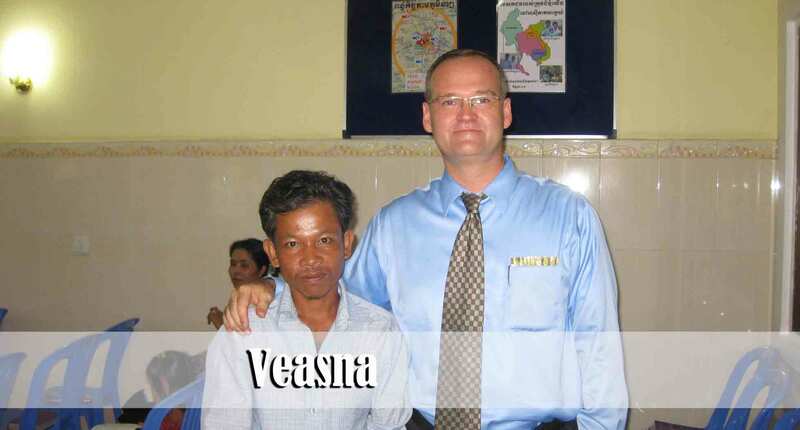 I can assure you that poverty is much more than a formula to those who live all around us here in Cambodia. It is their life. The majority of their waking hours are spent just seeking to make enough money to live and eat for that day. 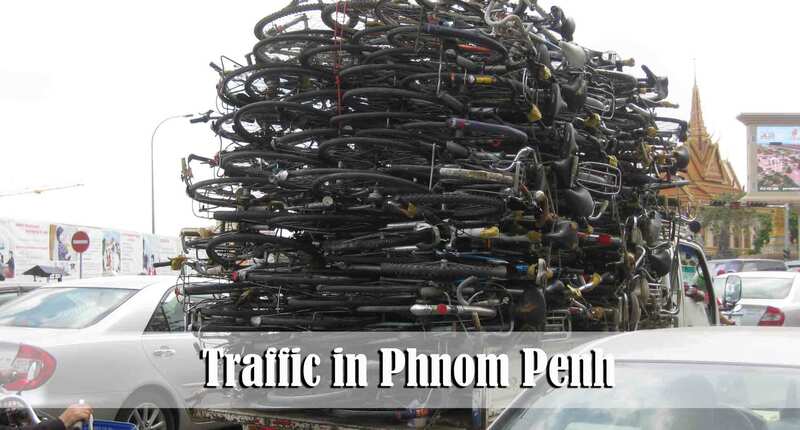 Those who have done the research tell us that approximately 60% of Cambodians live on less than $2.00 a day. (30% on $1.00 or less) Some are under the mistaken notion that the cost of living in many third world countries must be very cheap. I can’t speak for other countries but I can provide you with some practical every day examples of the cost of items here in Cambodia. These prices are approximate. Milk – $8.40 a gallon , Gas – $5.50 a gallon, Ground Beef – $5.25 a pound, Chicken – $2.75 a pound. 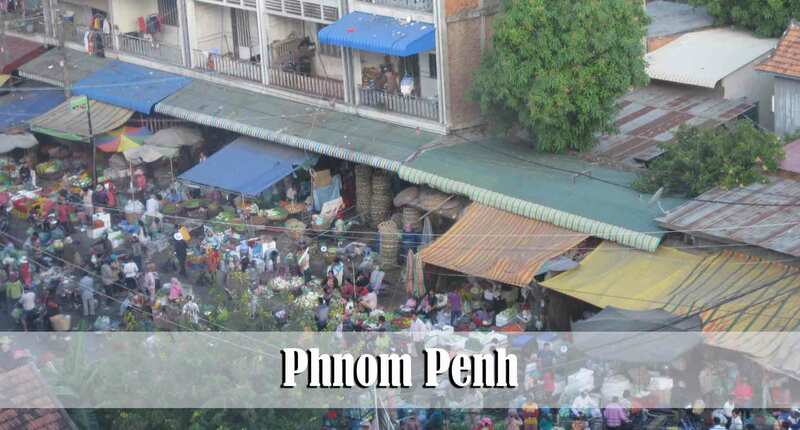 For thousands of the young people in Cambodia the key to survival has been working in the garment factories that scatter the outskirts of Phnom Penh as well as several other provinces. As westerners it is very troubling to see the workers herded into trucks and transported from their shabby apartments to the factories every morning. One can literally see several dozen of these trucks every morning heading to each factory. Each truck holds approximately 90 workers. They work, often under very challenging circumstances, for 10-12 hours a day for about $65 a month. Much of their salary is sent back to their village in order to help support their parents and siblings. 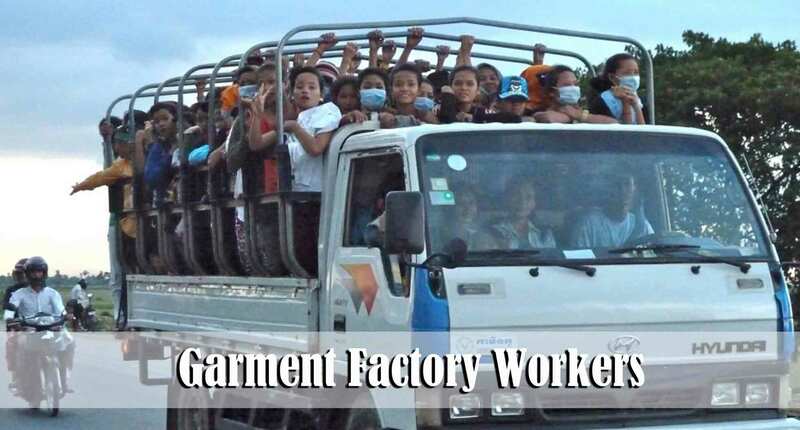 It might be a good family field trip for you to sometime take your children to WalMart or the local mall and merely look at the tags on the clothing that is sold there and think about the young people all around the world who labor to make that clothing. It ought to affect the way that we as Americans view the cheap items that we buy. Some have no marketable skills or farmland from which to derive an income so they have resorted to gathering trash and recyclable items which they sell for cash. This woman likely supports several children on the small amount of money she can gather each day from the profits on her recycling efforts. 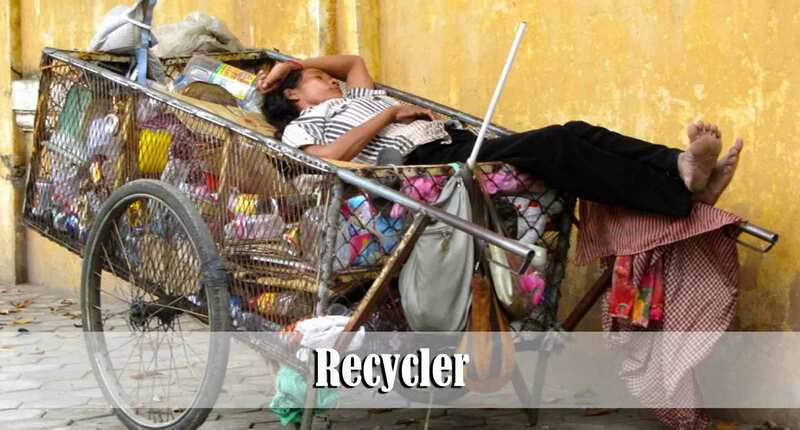 Those who recycle will go door to door in the city and collect items from people at their homes. 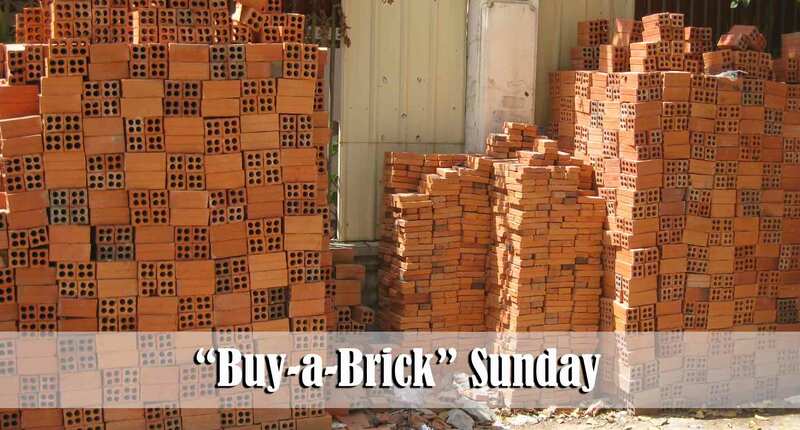 Unfortunately, the majority of homeowners sell these items to the recyclers and so there is not much profit left to be had. We always enjoy giving our recyclable items away for free along with a gospel tract. It is always amazing to see how, even the poorest of the poor, will often times have priorities that seem to be out of kilter. Here we see a very basic village shack made of scrap aluminum. 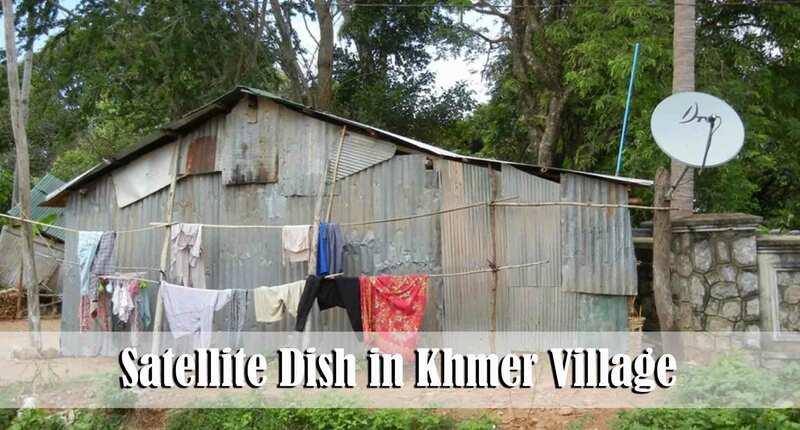 Right next to this shack is their satellite dish that provides them with satellite television. The television and the satellite are all run on batteries because this village, to my knowledge, does not yet have electricity. 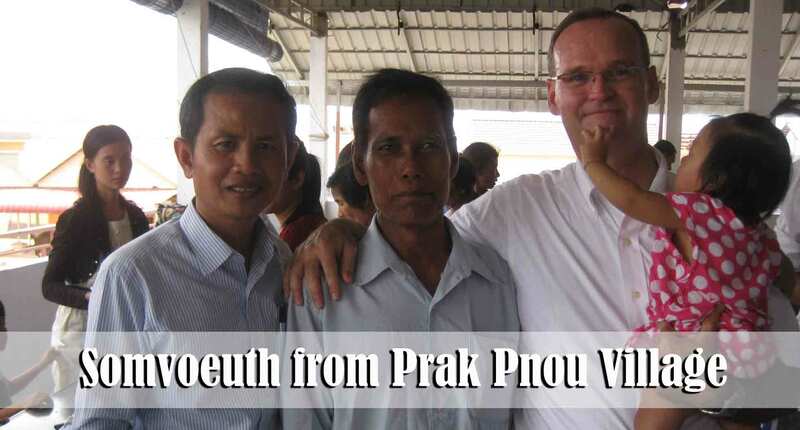 Our lives are touched in so many ways as we seek to minister among the poor here in Cambodia. One of the things that touches our hearts is when we see poor children being generous with the small amount of money that they do have. 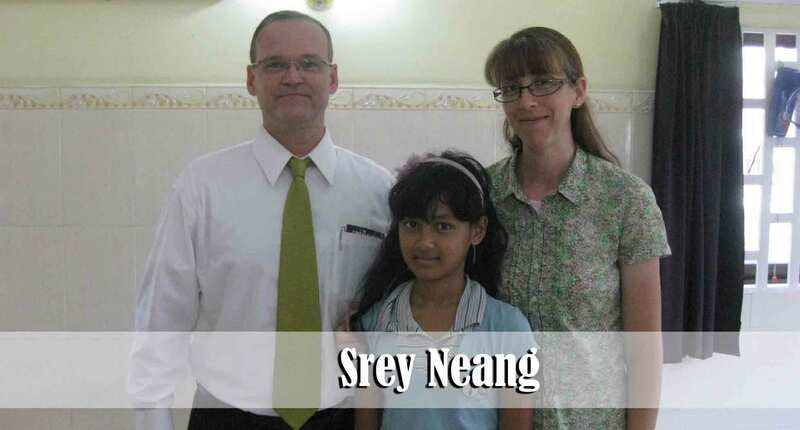 Srey Neang, 14 years old, is an example of a young lady who lives in less than ideal circumstances which I will not elaborate upon. This past week she came to church with a gift that she presented to me. It was the tie that I am wearing in this photo. You should have seen the joy on her face as I wore it this morning to church. She has a job and gets paid $.31 an hour. I have no idea how many hours she had to work just to earn the money to purchase this silk tie. 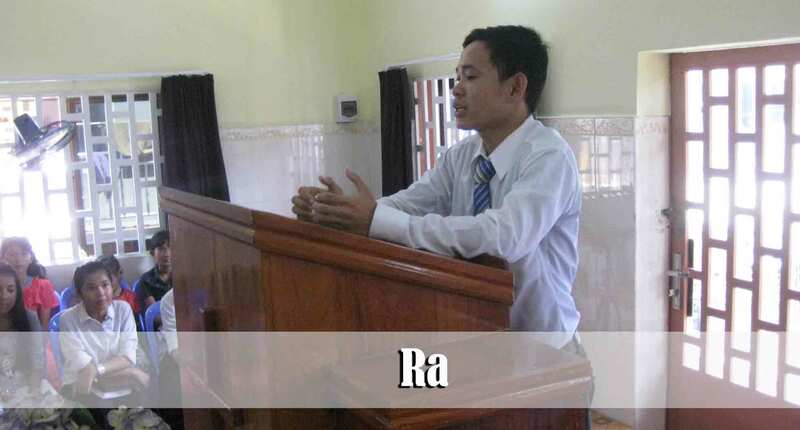 Taiwan and his wife are another example of two new followers of Christ who are learning to honor God with their lives. I have begun teaching a series on Wednesday evenings on the topic of Biblical Stewardship. This past week SokKang shared a testimony with me regarding how God is working in their hearts to be faithful to Him with their possessions. Taiwan works full-time as a chef. SokKang is a stay-at- home mother. Recently Taiwan made a mistake at his job that caused an entire chicken to spoil. All the other employees encouraged him to hide the mistake from the boss. They assured him that they would help cover for him. His immediate response was, “No, I must tell the boss what I did.” They assured him that if he told the boss then his pay would be docked for the value of the chicken. Taiwan responded to them by saying, “I could deceive the boss, but I’m a Christian and I know that I could never deceive God. I will tell the boss and let him take it from my pay.” He did tell his boss and his boss did say that he would have to pay for the chicken. 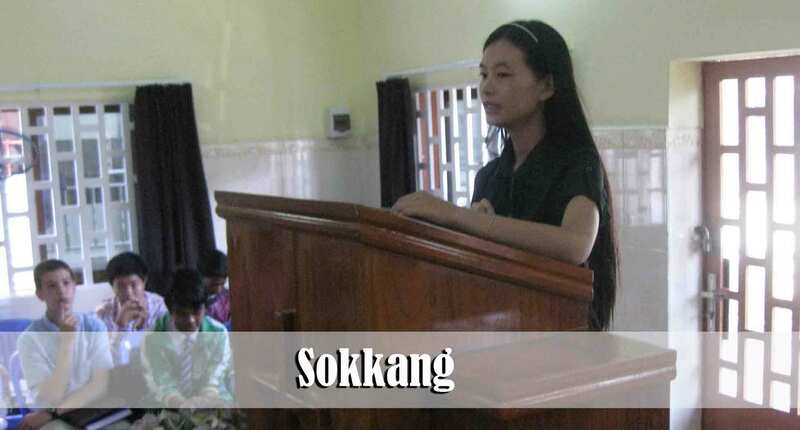 As SokKang shared this testimony with me she did it with a smile on her face! She said, “Pastor, I am so thankful that my husband is honest. He is a great example. He has been witnessing to the other employees at work for several months. 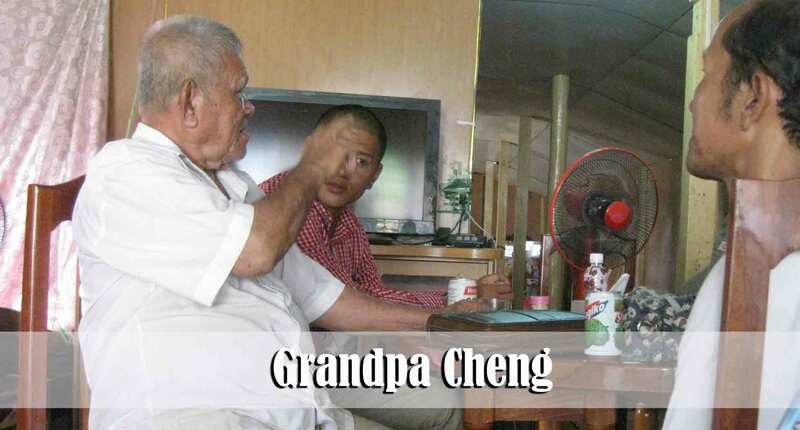 Now they will see that he is truly God’s child.” The amount that Taiwan was due to pay was equal to about 8-10% of his monthly pay but he was happy to do it because he knew he was doing the right thing. The good news is this – When he got paid at the end of the week the boss had a change of heart and decided to not penalize him. He thanked him for being an honest employee! Please pray for the ministry in Taiwan’s village. 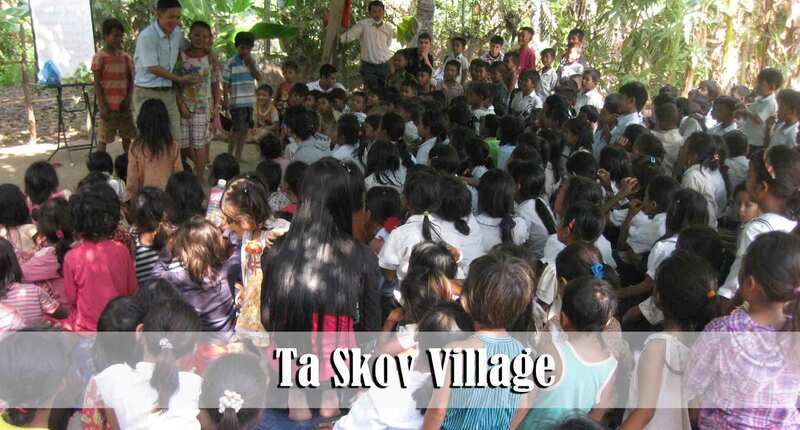 For quite awhile now our workers have been teaching 300-400 children each week in Ta Skov. The video that I have attached to this update shows some of the children walking to the Bible study. We have had resistance off and on for a couple of months now from a “church” that is in the village who has been running just a small handful of people. They became very angry at us for going into the village and teaching the children about God. A couple of weeks ago they began offering free English classes to try to draw the children away from us. 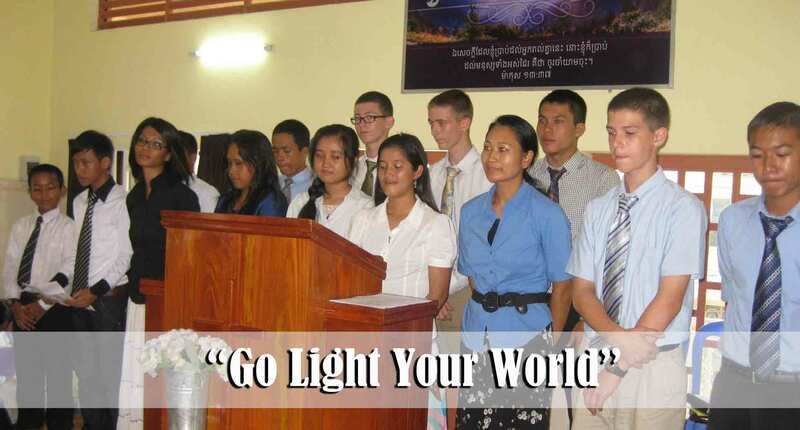 (This is a common tactic here in Asia that is used by “churches” that want to draw a crowd. That is the point – they draw a crowd. A crowd and a congregation are not the same thing…I digress…) They managed to entice about 100 of the children away from our Children’s Ministry. However, we are very encouraged by the many children who are more interested in hearing God’s Word taught than they are in receiving free English classes. It appears that we may be losing the location where we have been meeting for over a year now. Please help us pray that God will grant wisdom and direction as we seek to locate a place large enough to accommodate that many children. 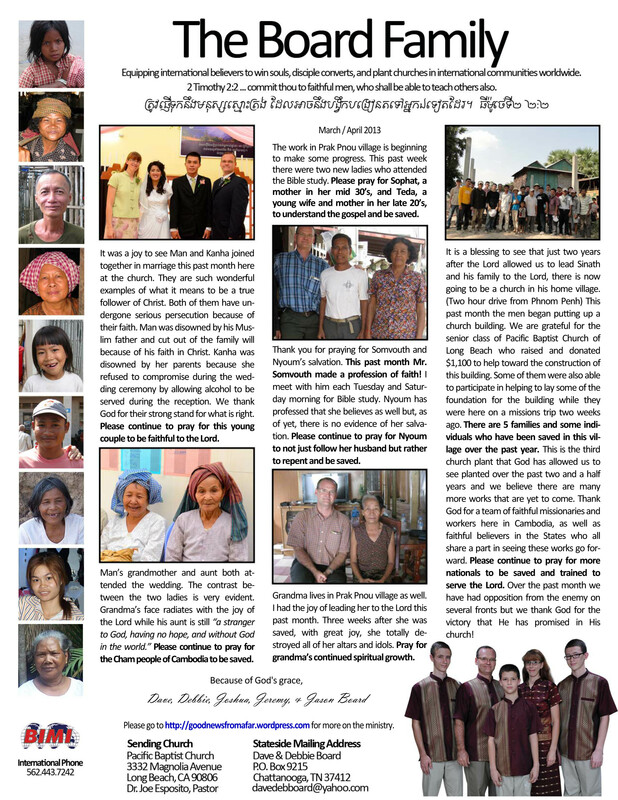 Thank you for your continued prayers and interest in the ministry here in Cambodia. If we can help you in any way please feel free to contact us.